This British cozy is a fun read , filled with humor and with and murder that will keep you guessing to the end. You will be pulled in from the start and won’t want to stop reading. 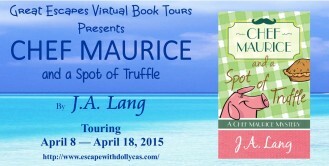 …a humorous cozy featuring Chef Maurice and his friend and restaurant critic, Arthur Wordington-Smythe. This is the first book in this series and I LOVE IT! I am enamored of this new series which delivers unique characters in a charming setting with a realistic restaurant background. 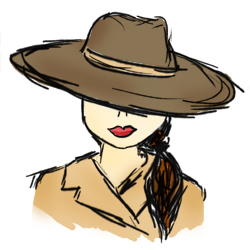 It makes me want to go hunt for truffles but I probably find the deadly mushrooms instead. This Chef Maurice character makes me laugh, hungry and want to own a pig. …very humorous and filled with many eccentric characters. As a lover of British comedies, I was quite at home with the appearance of a French chef in a small town (how do you say, “‘Allo, ‘Allo”). I was not prepared for the laugh-out-loud humor … but I LOVED IT! Chef Maurice is really awesome, especially for people that like foodie fiction…this British cozy is really not one to miss. It ‘s a fun and engaging cozy mystery, an easy, fast and exciting reading. I read it in one day, I could not put it down. This book reminds me of the hysterical, madcap adventures of Agatha Raisin, and ends with a reveal right out of an Agatha Christie novel. Just add it to your reading list now…you won’t regret it! This is a quick read that is laugh out loud funny. The story was really cute and funny and I think any foodie mystery lover will like it! 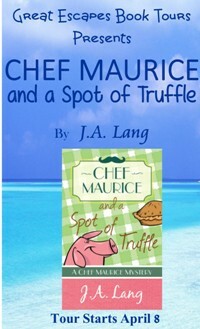 I love British Humor and author J.A Lang writes it brilliantly with Chef Maurice, his friend author and his fun loving pig Hamilton. It is written seamlessly and very humorous, with a dash of murder and abundance of food and a mystery filled with wit. 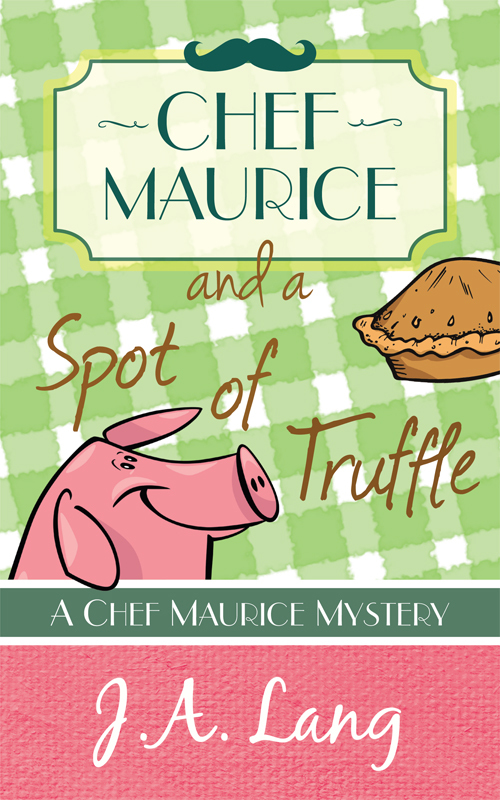 Prize: Win a signed copy of Chef Maurice and a Spot of Truffle, as well as an extremely cuddly Pillow Pet Pig (RRP $19.99)! 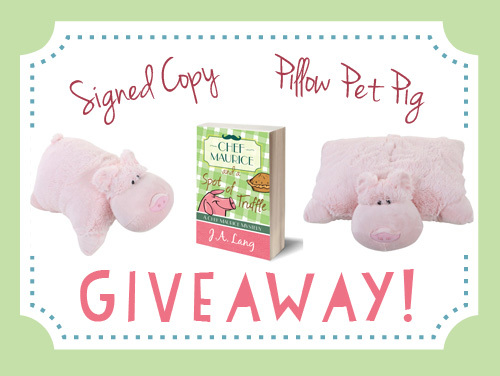 Congratulations to Sandy T. of Sun City, CA, on winning a signed copy of Chef Maurice and a Spot of Truffle and a super cuddly Pillow Pet Pig!